The truth is out there. Nothing can stop the truth from coming out. Despite the false claims the United States Drug Enforcement Agency is parading around on marijuana, we all know the plant has a significant medicinal value. For us here, we are not just supporting the plant for smoking’s sake. We are advocating for a very good use of the plant, by using it to cure acute and chronic diseases that have been disturbing people, allowing them to become victims of the cruel pharmaceutical companies. The government and the greedy corporations would most certainly prefer you to not read these article, but we urge you to follow the article with rapt attention. Nobody knows tomorrow’s outcome. The article may help you tomorrow, if not today. Marijuana if added to other natural herbs, is capable of curing many diseases. In this particular case, combining marijuana and coconut oil to fight diseases provides some remarkable results. 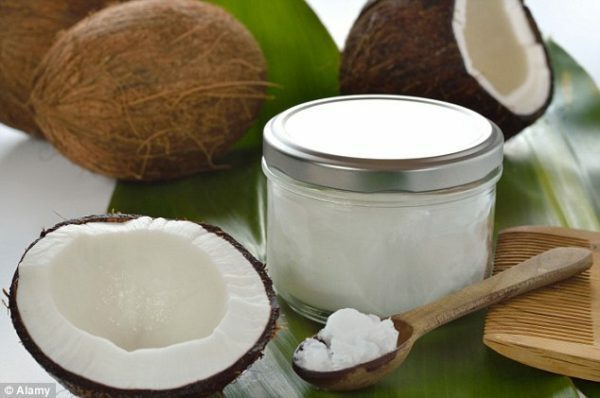 Using coconut oil, internal and external of the human body, promotes good health. The oil can be applied externally to heal skin and hair from damage. It can also be ingested to help improve memory, fight cancer, ease digestion, boost the immune system, reduce inflammation, cure Urinary Tract Infections, eliminated kidney infection, protect the liver and more. Also, using coconut oil in your cooking greatly improves the quality of the meal. 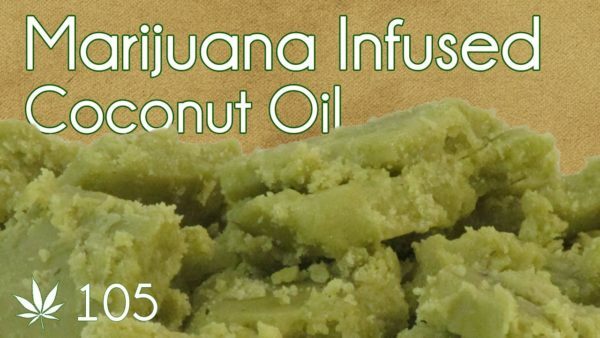 In fact, one way to make coconut oil more useful is by infusing it with the medicinal properties of marijuana. 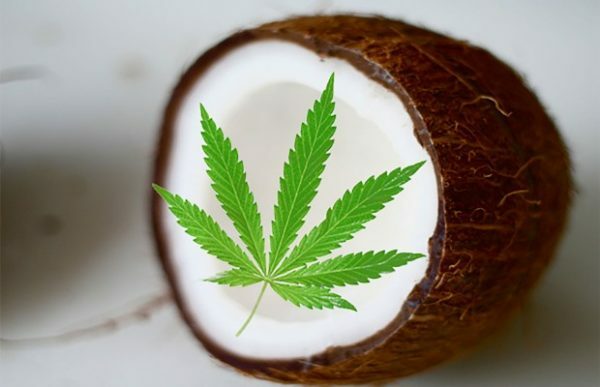 Marijuana and coconut oil, when combined properly, create a symphony more beautiful than chocolate and peanut butter, according to the author Nicolette Aolani Kineret. The tetrahydrocannabinol (THC) and cannabidiol (CBD) in marijuana, the two cannabinoids that give marijuana its healing properties, are said to be very fat soluble. The high concentration of fatty acids present in coconut oil creates a perfect adhesive for the cannabinoids that bond with the fatty molecules. 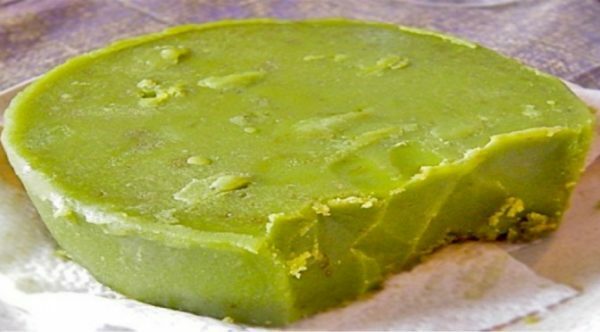 The results of the marijuana and coconut oil are much more potent than other butters/margarines/oils, highlighting the medicinal properties of the plant. Marijuana can be used to cure all types of illnesses, depending on the strain. You just have to know how to choose the right strain. According to experts, strains with high levels of THC are best for treating pain, post-traumatic stress disorder, nausea, lack of appetite or eating disorders, asthma, glaucoma and sleep disorders. On the other hand, other strains that are higher in CBD can be used to combat anxiety, pain, tumors, cancer, seizures, psychosis and neurodegenerative disorders. Marijuana in the sativa family, has a high CBD:THC ratio. These properties make it energizing, that is, capable of stimulating the mind, promoting optimism. Due to the high CBD content, they are often used to treat depression, ADHD, and appetite loss. 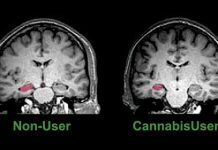 Conversely, those in the indica family have a high THC:CBD ratio. The high THC content gives indica strains a sedative effect that helps with anxiety and sleep disorders. In a food processor, pulse the cannabis until it is coarsely ground (you don’t want a superfine powder). Store it in an airtight container and use as needed to make extractions. Place one gram of decarboxylate marijuana for every ounce of virgin coconut oil. Place the crushed marijuana in a glass jar and add the coconut oil. Put the lid on the jar, seal it well and put it in a pan full of water. Slowly heat the water and keep it on a below boiling level of 100 degrees Celsius (212 F) for 60 minutes. In this way you will keep the oil safe from overheating. Next, use a strainer to strain the mixture to eliminate the solid elements. Make sure to squeeze the juice from the marijuana. Some people use cheesecloth to strain the mixture properly. Once you are done with this procedure, you can eat the marijuana coconut oil as it is, or use it in other foods, or apply it as a lotion. Feel free to cook with this treated oil, but only when the temperature is lower than 157 degrees Celsius (315 F). That is the temperature of the point of boiling of the active compound of marijuana. Please take note that if you use higher temperatures than what is recommended, the effects will be gone. We acknowledge that we sourced the article from Wise Mind Healthy Body. This article (Easy Recipe: How to Prepare Marijuana and Coconut Oil to Cure Pain, Nausea, Seizures and More) is a free and open source. You have permission to republish this article under a Creative Commons license with attribution to the author and AnonHQ.com. To help with pain I recommend getting a magic butter machine, not an add I swear by it… Use 1 1/2 c food grade vegetable glycerine per ounce of flower. Cook at 160 degrees for 8h mixing heavily every 10-20 minutes. Take a teaspoon or more as needed for pain relief. This recipe has gotten two of my friends completely away from pharmaceutical opioids. This was a recipe for oral ingestion. I believe if your using the plant for medicinal benefits and oral dose is much more effective and longer lasting not to mention a little easier on the body. are you using fresh plant to decarboxylate or are you starting with already dried plant material? If dried, can you start with fresh plant?